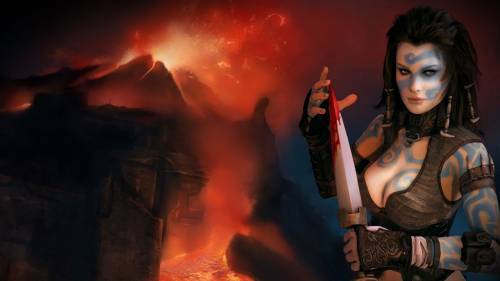 Characters in Age of Conan: Hyborian Adventures are created on a user account on a particular online server. Characters created on one server cannot be played on another; however, Funcom is planning to have a server transfer process for characters. Online Action RPG. A mix of a deep, story-driven single-player experience and a massive and brutal multiplayer end-game brings forth the ultimate representation of the Age of Conan. Hyborian Adventures, 2D Digital Art, Fantasy Art - desktop wallpaper.